We all know that shoes can make or break an outfit. That’s why this column is dedicated to appreciating all things we strap, tie, lace up, and slip onto our feet to make us feel complete and ready to go walk fabulously out into the world! In honor of all the new trends coming forward between New York, London, and Milan Fashion Week SS15 all happening this month, I felt no better way to start off Shoes-Day Tuesday by displaying all the biggest trends coming to women’s fashion in the spring. Ah, yes. The classic 90’s-esque almost too clunky to function shoes are making a comeback at almost full force. I have a feeling these shoes will come and go as fast as the first time around. Now, strappy sandals have slowly been growing into a basic everyday style for a while now. SS15, they were everywhere. The style of these sandals not only gave off a simplistic and glamorous feel, but also complemented each of the models perfectly. These sandals are becoming a classic accessory to any outfit. 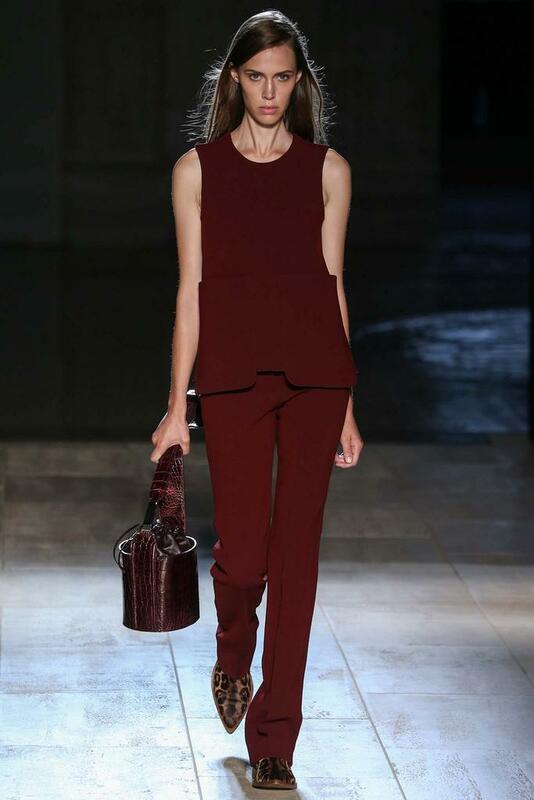 The contrast of masculine and feminine pieces is becoming more prominent in women’s fashion for spring of 2015. There are more loafer style, and heavier boots coming to the forefront, not only being paired with dresses and flowy blouses, but also having patterns like leopard or embellishments on the shoe itself to add extra flare.